White decorating ideas can add a fresh, new look to home interiors and house exteriors, but colorful accents bring sophistication into the designs. Bright colors are lovely ways to spice up home interiors and enhance elegant room design. Here is a designer work showing how to combined all-white decorating with vibrant colors and keep home interiors look vibrant and bright. Betsy Morgan Designs renovated an old, dark house built in XIX century on the Atlantic coast and created beautiful, calm living spaces that are full of energy. The modern home interiors delight and amuse. 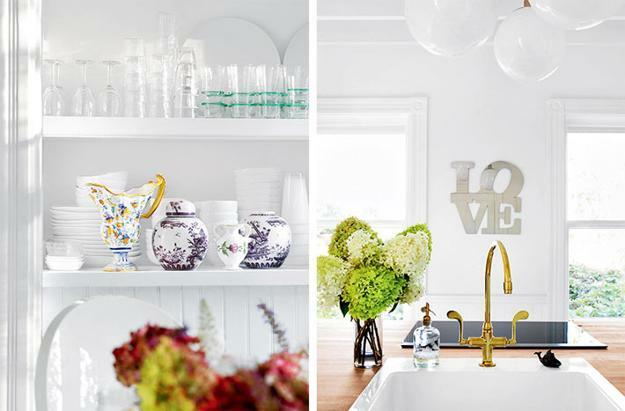 All white decorating ideas and colorful accents create fabulous color combinations that inspire. Peaceful white decorating and eye-catching vibrant accents in vibrant colors provide a respite from the visual abrasion of our hectic world. The white decorating ideas are versatile, suitable for all rooms and interior design styles. Juicy, natural colors are perfect for personalizing white room design and creating a universal appeal. The New York home gets a stylish update. The New Yorker, interior designer and stylist Betsy Morgan, whose summer home is in the sleepy enclave, transform the old house into a contemporary retreat from the bustling urban city. 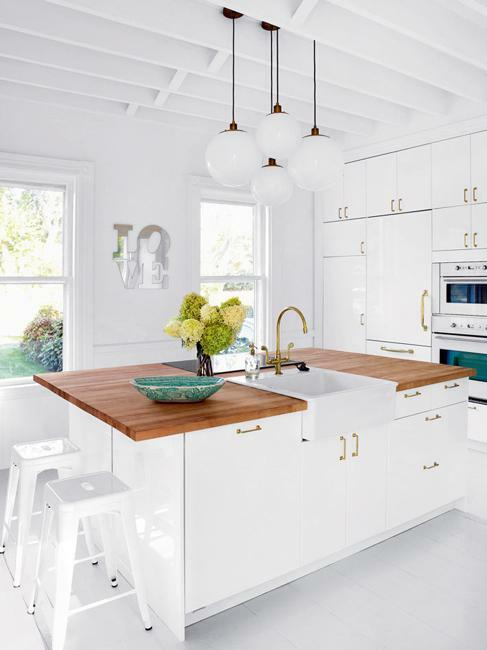 The original character of the 1887-built abode and creative all-white decorating ideas, spiced up by colorful accents work well turning the old home into a beautiful modern house. 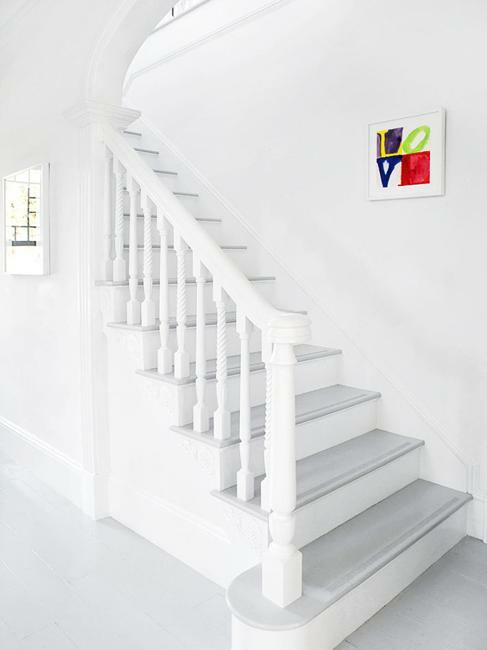 White paint colors are excellent solutions for creating a fresh canvas which maintains the brightness with a minimalist approach to furnishing and vibrant accents. The spacious, light, modern interiors embrace a mix of styles, blending traditional, contemporary, coastal and urban furnishings adding the unique character to these beautiful rooms. Cream-colored sofas help keep the living room design bright and neutral. A few dark accents, like Mid-Century Modern chairs and a cowhide floor rug, introduce contrasts and add interest to the white decorating ideas. Decoration patterns on the cushions infuse the interior design with playful, relaxing, fun flair. 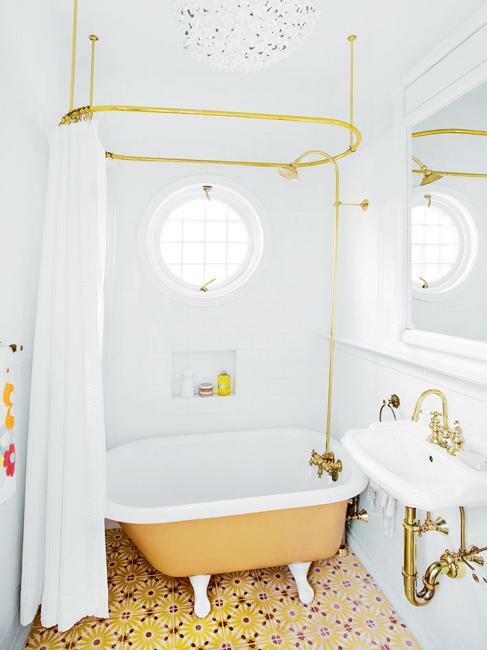 The model sailboat and seashells are beautiful accents of nautical decor which references the coastal location. The glass-top coffee table allows enjoying the unobstructed view of the statement-making floor rug, which creates a dynamic contrast and balances the white decorating ideas. Floral arrangements and large potted plants connect the home interiors with lush green surroundings. 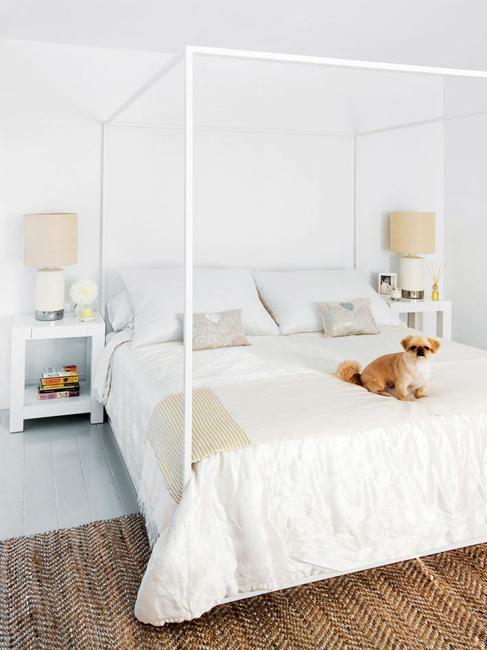 Hydrangeas picked from the garden brighten up the room design, merging the airy, white room with outdoors. The white dining table and chairs increase the pleasant visual effect of the bright and breezy place. White decorating ideas are perfect for blending various styles. Victorian style architectural features, large windows, retro-modern furniture, coastal accents, and contemporary details come together to create the beautiful home interiors and allow to add a touch of color to the elegant room design.